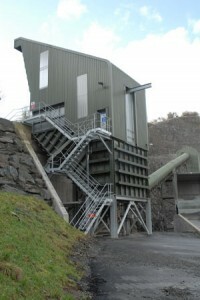 Centristic designs and supplies small blending hoppers to large dump hoppers, utilizing chain curtains and dead pockets to control flow and help reduce wear. All our feeders use the Centristic SRD (space relieving device) which induces mass flow and reduces pressure on the feeder, consequently reducing power requirements and belt load, and ensures a consistently even output. 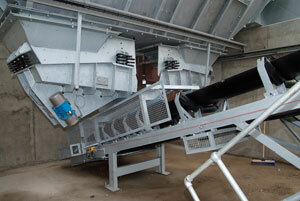 Centristic has its own range of belt feeders, and can also incorporate proprietary vibratory feeders.